My 82 and my new to me 78. 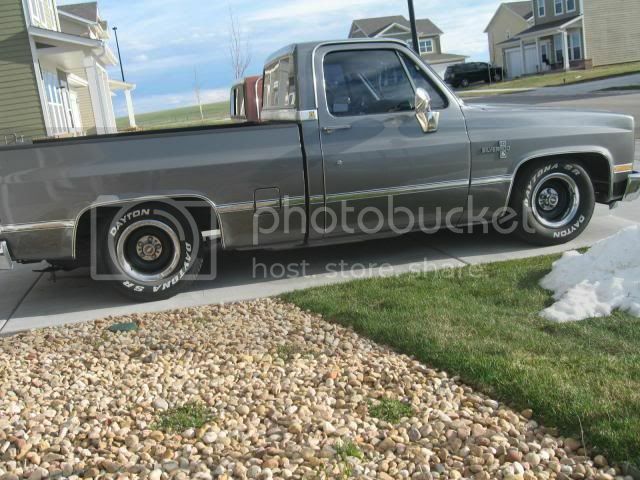 Is the 78 going to be black like the other two chevy's? 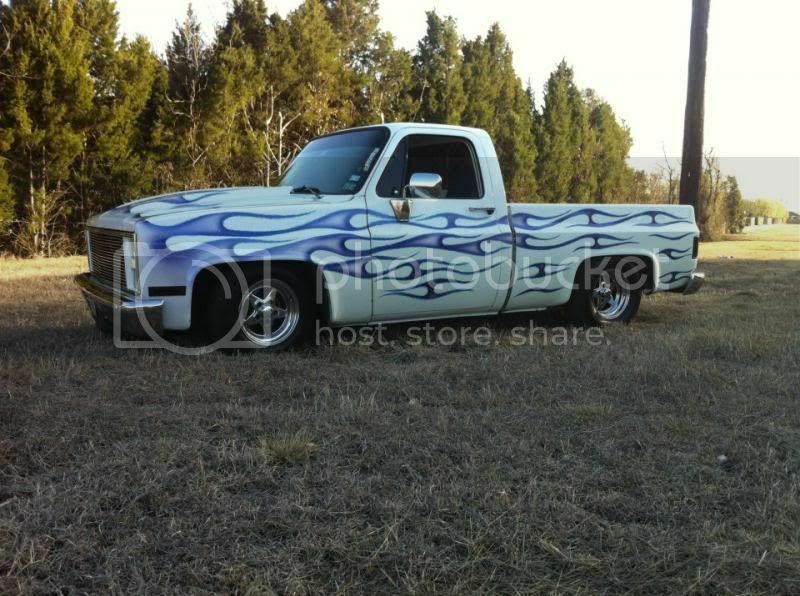 Lol...I plan on keeping it white but who knows down the road what i might do. 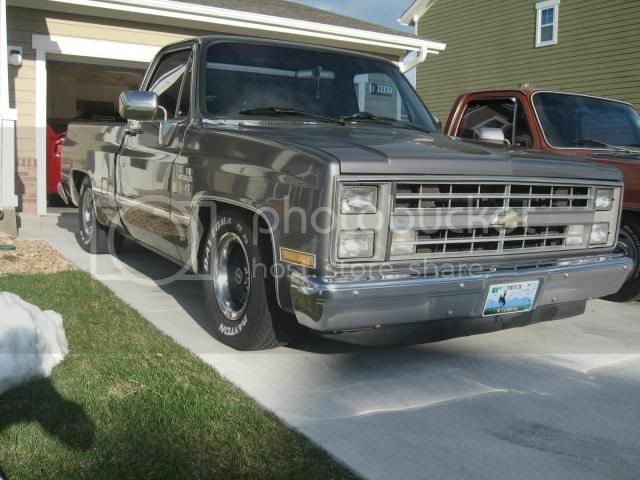 I got it to make a daily driver out of it, mostly because my first square was a white 78 GMC back in the mid 80's. Very nice...I love the silver and chrome look. Cowl hood looks good too. Thank you, the color is actually a gm base wheel color. Me and my son built this truck in 2 years. Thanks again for the compliments. 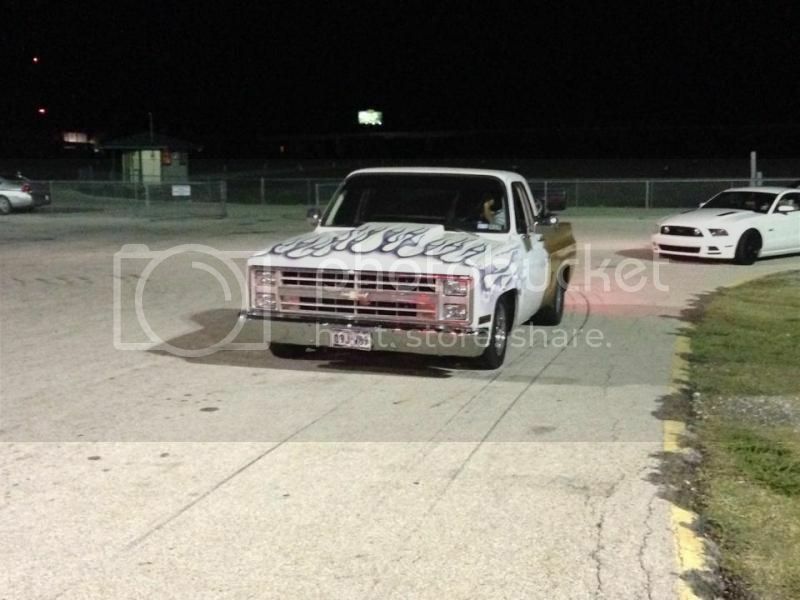 Rich84 your truck looks nice too. Love the silver. Thanks, its a 4.5/6in drop. 1 round cut off the stock springs. Flip kit with shock extenders. 15x10 Wheel Vintiques with 5in back space. Are we re-populating this thread with our pictures from the old thread? Should I re-post mine here too? You might get away with those tires on the rear but you will need a 245/60/15 on the front. Awesome! I'd leave the 6 in it. Great find! Here is my 87 with 3" drop Belltech spindles and one coil cut and flip kit out back. I'm running 8" rallies with 255/70s in all four corners. I do rub on hard dips. You are only dropping it 3" so I'm going to say you'll be alright. At a minimum, you'll rub on hard dips only. Since you already have the tires, just do it. You can always buy shorter tires later. Just my 2 cents. The spindles are Belltech and the flip kit is McGaughy's. I also cut half a coil (sorry, I said one coil before) on the front for a 4" drop. Also had to trim the lower control arm to clear the rallies. Out back the flip kit dropped it 6". I left the stock shocks up front but put shorter shocks out back (sorry don't have the p/n for those). I also took off the bump stop with extender off out back and installed a regular 1 1/2" one from the parts store. If you are going to cut the coils too, you are going to get some rubbing on hard bumps.